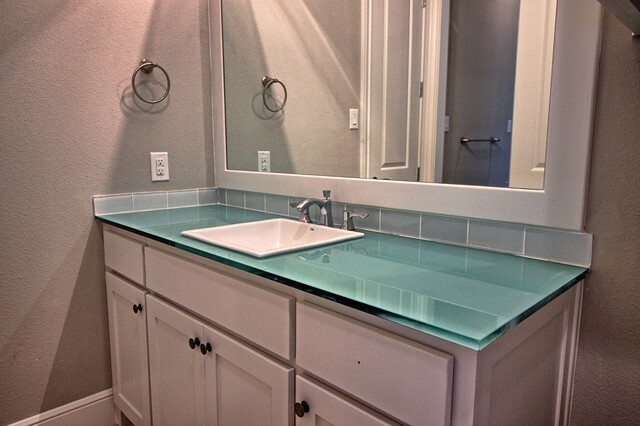 Glass Countertop - Who fabricated the counter top? Can you give me an approx. price per sq. ft.? Thanks! Hi Traci, We did this a couple of years ago, but I believe it was around $1200 for the glass top (10sf). I used United Glass 817-613-0672.